From a large metropolitan area to historic Wild West towns, active adult communities are popular in numerous cities throughout Southern Arizona. Many 55+ neighborhoods can be found near Tucson, Green Valley, and Sierra Vista. 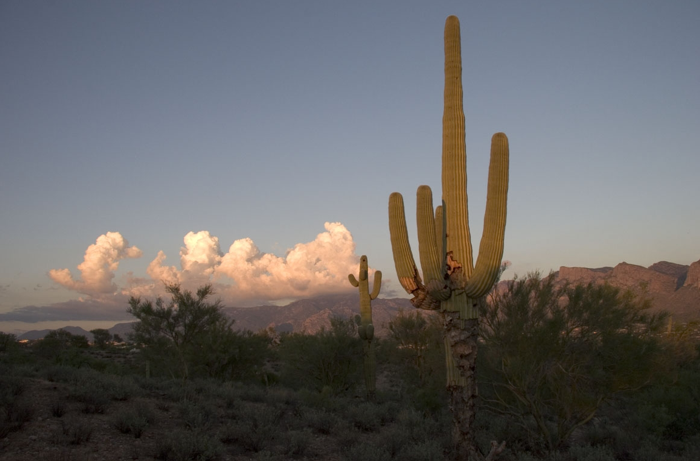 Southern Arizona is a popular destination for retirees for its warmer climate and great homebuying options. Homebuyers can build the house of their dreams or find an affordable previously owned home. Southern Arizona s 55+ retirement communities range from large 5,800-home resort-style communities to quiet 100-home neighborhoods. Whether you are looking for a condo, townhome, or single-family home, Southern Arizona s active adult communities offer it all. 55+ communities in Southern Arizona are popular due to its desert climate, with very hot summers and mild winters. November to February are the coolest months in Southern Arizona. Halfway through February the temperature starts to rise with warm days and cool breezy nights. The Sonoran Desert covers most of the region with cactus forests, rolling grasslands, streams, mountain ranges, and evergreen sky islands. Set above the Mexican border, the greater Tucson area lies within the Catalina Mountains, the Salt River, and the Sonoran Desert. Its higher elevations provide healthful air and temperate weather. Bisbee is a charming city known for it s Victorian architecture, galleries, and antique shops. Sierra Vista is the cultural and recreational hub of Cochise County. It s filled with trails and is a nature-lover s paradise surrounded by mountain peeks with plenty of sunshine. Tombstone, a Wild West town, is a popular tourist destination where the streets are lined with old saloons, shops, and gift stores. Just outside of the Coronado National Forest. Tubac has a thriving art colony and recreation continues with the Tubac Presidio State Historic Park and Santa Cruz River. Tucson, the largest city in Southern Arizona, is home to the University of Arizona, Arizona s first university with the only medical school in the state, and a center for astronomy and technical innovation. Tucson is a thriving city with luxurious golf courses and resorts. Active adult communities near Tucson enjoy the area s multicultural heritage that provides great dining experiences, a prosperous art scene, and rich history. Southern Arizona s 55+ communities near Tucson offer metropolitan area living with the closeness of a small town. Amid a more stable pace of growth, there is abundance of jobs available in scientific, technical, and aerospace industries. Active adults living in Tucson and Green Valley retirement communities will also enjoy more affordable living within a region dedicated to maintaining quality of life. Homes can be found in urban, suburban, rural and hillside retirement communities with amenities and pricing to fit nearly any lifestyle. The University of Arizona Medical Center services much of Southern Arizona s active adult residents. It is one of 21 hospitals in the southeastern area and is nationally ranked for geriatrics and ear, nose, and throat specialties. Other high-performing specialties include cancer, cardiology and heart surgery, diabetes and endocrinology, gastroenterology, orthopedics, and more.